​How does a person actually grow in their faith and relationship with God? There are lots of ways. One of them is to spend time with other people who follow the way of Jesus. When we read our sacred stories together and dig deep into the real stuff of life, something pretty incredible can happen. We realize that loving others like Jesus takes work and intention. It asks a lot of us. And it can be pretty joyful too. Especially when we do this work together with people who become friends. That's our dream this new year. 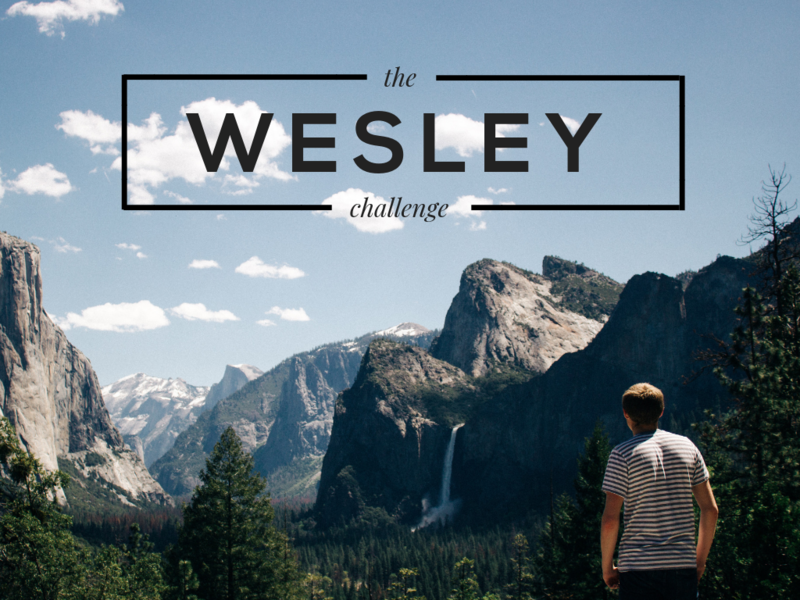 You're invited to our Wesley Challenge! Pastor Jenny will share messages on Sundays helping us walk through twenty-two powerful questions that John Wesley used to strengthen the faith of Jesus followers over 200 years ago. Check out the questions here! Imagine what could shift in your life if you spent six weeks with new and old friends digging a little deeper into this life of faith? All the details are below. You're invited to jump in! Pick up a free bookmark next time you’re at church that has all the questions! Or download the questions here. Receive a morning text message at 7:30 am with a question to reflect on that day. Sign up in bulletin yellow sheet or text 81010 to @wesley2019 to be on the list. Watch a short video from Pastor Jenny most days during our challenge. She’ll answer one of the questions for herself and you’re invited to answer it in the comments. Join the group. Pastor Jenny will walk us through each question as we learn why they matter and how they can lead to surprising new growth in our lives. Join us Sundays at 8:30, 9:45 or 11:00 am. Watch online. Can’t make it to a group? Invite a few friends or family members to get together and talk about the questions together. You could even watch Sunday’s message and talk together! Our Director of Family Ministries, Becky Dickinson, has adapted the questions for our children. Choose a time each day (maybe at dinner or before bed time) to share a question or two together. ​Get the questions here.